Chinese politics from the provinces: When Did Some Students in Beijing Start Being Indicators of Political Sentiment in China? When Did Some Students in Beijing Start Being Indicators of Political Sentiment in China? There’s an interesting essay at the China File website entitled, “Why’s Beijing So Worried About Western Values Infecting China’s Youth?” by Eric Fish. Fish’s own book on China’s millennials is seen by many in the China-Watching Establishment as a shrewd analysis of China’s young and potentially activist generation, possibly in part because it supports the notion that the next cohort may well bring about the sort of change in China that many of these observers want to believe in. Fish’s take in the present essay seems to strike the same positive chord for some: That China’s current leadership is anxious enough about the prospect of youth rising up in political resentment here that authorities have assembled a set of draconian measures to control the classroom, specifically Western influence at universities and elsewhere. Surveys taken of students here, according to Fish, indicate that many Chinese youth are favorably disposed towards democracy as well as for what passes for American culture, so Chinese leaders are right to be uneasy. But there are ample reasons to wonder about this interpretation of China’s youth, as well as the assumption that Beijing is “worried”. The article cites three surveys of Chinese students--in 2007, 2009 and 2011. It’s not at all clear how relevant these surveys are to China’s current youth, especially since they are somewhat dated and they’re about students, not other sectors of youth. Another analysis that Fish refers to was recently published (in 2016,) but it’s not clear when the survey was conducted (the original article doesn’t say) and, in any event, the total number of interviewees was 29--all of whom said that they were already viewers of various American television series. How fans of, say, Friends are more likely to evolve into an anti-government political force isn’t explained, but it appears to have been assumed that if you harbor such tastes you’re likely to dislike China’s current leaders. 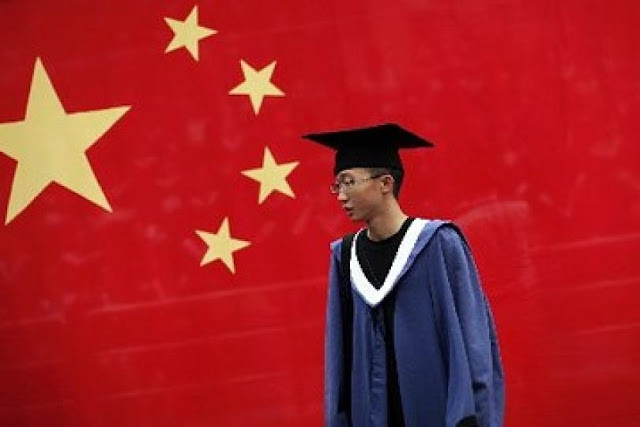 In fact, when Fish’s article refers to “China’s youth”, what’s really being talked about are some students at some Chinese universities—almost always in Beijing, which means the better endowed and established schools, where it’s often the children of elites and the well-placed who go to get credentialed instead of intellectually enlightened. But while Rosen’s article is more nuanced (noting for example that there are many foreign influences on China’s youth, not just American ones—such as Korean pop idols), there’s reason to wonder about the inference that it’s especially authoritative because it relies on an internal study (or perhaps more than one) of youth attitudes by Chinese government departments and institutes. If there were staff at one of these think-tanks who allowed a foreign scholar to see the study (or at least shared its findings), they were taking an enormous risk doing so—and it’s not immediately apparent why they’d do that. It’s rare to find such risk-taking in think-tanks here in China, especially given the supervision the analysts there live under simply because they are one of the main contacts for foreign scholars and are government organizations, not private ones. Maybe they were particularly courageous--or perhaps the level of classification wasn’t all that high, making the findings perhaps less compelling than what’s implied in Fish’s article. It's tough to tell, and so caution is probably called for here, too. In short, there are reasonable questions that should be raised about validity and reliability in this regard, especially when efforts are made to extrapolate this limited data to a more general universe—say, employed youth, young laborers still looking for work, and so on, without distinction of gender or location either. If one is speaking of Chinese students in select universities in Beijing and some of their attitudes about American culture, maybe that says something about them specifically. But the claims made in the Fish article are more far-reaching than that, the inferences even more so. Finally, there’s the Chinese government view as presented in Fish’s essay. As with many commentaries about China under Xi Jinping, the essay speaks of “China’s leaders”—a category that evidently encompasses the entire Chinese Communist party as well as the government apparatus, without any reference to differences of opinion or debate between political elites. As a whole, we’re informed, China’s leaders are frightened, anxious, concerned, worried—the terms may differ but the sentiment seems the same: They’re scared of society. And it’s “them” here: The possibility that some Chinese political elites might well be not all that anxious about youth attitudes (whatever those are) or have other points of view apparently isn’t possible, or at least it’s not even raised. For evidence of this anxiety, Fish’s article points to Xi Jinping’s recent speech on ideology and political instruction in China’s universities, and an editorial by the current Minister of Education Chen Baosheng [陈宝生], that immediately followed Xi’s address. Both are important indicators of sentiment in Beijing, but neither pronouncement necessarily indicates a heightened fear in the corridors of power here. The editorial from Minister Chen that Fish cites has a somewhat different take—indicating again that there are important distinctions to be made where the actual views of China’s decision-makers are concerned. The headline of the Sina.com news site does emphasize the efforts by hostile forces to penetrate Chinese campuses, but the editorial is actually devoted to explaining in Marxist language how knowledge is acquired and should be conveyed. So it's not an attack on foreign influence as its central theme. This isn't a leading Chinese elite lashing out at the West and worried to death, but a high-level bureaucrat instructing his charges not to neglect Party values. Chen may see insidiousness on the part of some outsiders, but in this essay at least, he’s really speaking to the inattention of education administrators and internal shortcomings, not some all-out assault by Westerners, which is what's implied in Fish's articles. Most importantly, it’s not at all clear how anyone can truly discern anxiety or fright among China’s leaders. Indeed, it’s apparent in actual conversations with many officials (not only local cadres) that their concerns are often other than what some observers abroad insist that they must be, and that they’re pretty confident in their own capabilities. Maybe China’s elites are wrong to be anything but scared stiff, but how anyone can tell without actually asking them (or at least reading what they actually said and wrote with particular care) remains as much a mystery as how some students based primarily in Beijing suddenly represent China’s political future. Have you seen this related article? It links to more recent research. Thanks for the citation. I did see the article, found it interesting, but had a bit of an issue with some of the indicators (the validity of using content analysis in newspapers when we're altering about grassroots emotions is one of those). It's also interesting that some Chinese scholars and analysts here I know find interpretations of nationalism as quite overdone by outsiders. They may well be wrong, but the general view here (and that's all it is) is that angry youth are just angry and they are young: they can be brought around by more attention from Beijing and are hardly the threat or political force some make them out to be. One wonders. What is clear to me at least on the ground (which is to say, I think I am seeing this, though I could also be misreading) is that many local residents don't care at all about issues of say Lotte and THAAD, and see efforts by some (including the odd official or commentator) to mobilise the masses as nonsensical. Great post. Articulate, thoughtful and succinct. Thanks very much for both the kind words and the suggestion. I'm looking into presentation options as I go along, though a bit worried by one news item which reported some problems with Wordpress. And you are right as before about the need for an RSS feed.